The Azusa Police Department is participating in The Pink Patch Project, and we need your help in fighting breast cancer. On Wednesday, August 22nd, your Azusa Police Department officers will be at Max's Restaurant helping raise funds for the City of Hope. From 5pm to 9pm, you can enjoy Max's famous and delicious food with your family, friends, and our officers. Thanks to Max's generosity, he has agreed to donate 20% of your bill to this fundraiser. As Max would say, "Why not?" If you would like your own pink patch just like the officers will be wearing during the month of October, slide one of the officers a $10 bill on the night of this event, and we'll give you a patch! If you want to purchase a patch before or after this event, you may do so by visiting AzusaPD.org/Pink. 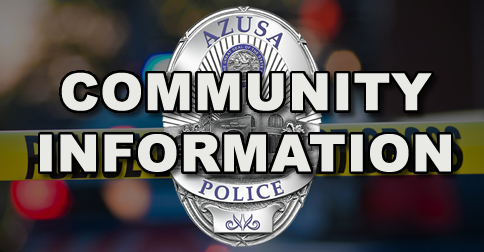 For the second year in a row, the Azusa Police Department will be changing their uniform patches to a pink version of the patch, during the month of October. We do this not only to raise awareness about breast cancer, but to inspire conversation between the men and women who wear the badge and members of our community. To help us with our mission, we sell our pink patches to the public, for $10. The proceeds from the sales is donated to The City of Hope, which is a world-renowned cancer treatment center located in Duarte, California. 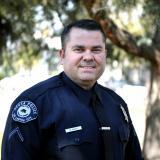 Officer Mike Bires is a 25 year veteran of law enforcement. He is currently assigned to the patrol division. Officer Bires has experience as a Field Training Officer, Bike Patrol, Community Policing, University Resource Officer, and SWAT team member. He is the developer of the department's website and one of the social media managers.